Regional accents on the page. A good idea? A couple of weeks ago, I spotted an interesting story on the Birmingham Mail website. The 50 top words and phrases that say you’re from Birmingham or the Black Country. I tweeted this to Candice with the tag #poshbrummie – because she was born and brought up in the Midlands. “oy I am not a brummie!however I did used to go to the outdoor…but not the back of rackhams” was the repost, followed by sharing the article to her friends on Facebook. Reading through the list shows just how rich Brummie lingo is. Those in the south might need subtitles but for those living in the middle of the country, there’s a lot of fun in recognising certain words and phrases. Saying someone is going round the “Back of Rackhams” for example tells you that they are probably a “lady of the night” or at least a customer of same. And no, you don’t get points on your store card. In fact when they say “Love being recognised?” then answer is probably, “No”. Anyway, I am reading Meet Me in Manhattan by Claudia Carroll at the moment. Holly Johnson (no, not the Frankie goes to Hollywood one) lives in Dublin (bonus points for a non-London setting) and is Irish. 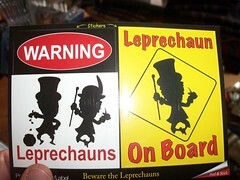 Or should I say Oirish. The trouble is the Carroll has given her a regional accent on the page, and it’s bugging me. Every “Feck” brings to mind either Father Jack or Mrs Brown as played by Brendon O’Carroll. I’m expecting a “Top O’the mornin’ ” at some point followed by discussion of the little people. In Kate vs The Dirtboffins (Buy it now! ), it never occurred to us to give anyone much of an accent. All the main characters are accent-free because we wrote how we spoke and neither of us has an accent. Not even the one is definitely NOT a Brummie. Should commercial fiction be like this or are regional dialects on the page a good thing? Would a soft southern shandy drinker Londoner or worsem an American, be put off if we included some Midlands colloquialisms? When was the last time you read a book with an accent?